2081 Plank Marine City, MI. | MLS# 31327422 | Marine City and Algonac homes for sale,Westrick Real Estate One 810-765-8861, Marine City MI Homes,Real Estate Marine City MI,Homes for Sale Algonac,Algonac MI Agent, Home for sale St. Clair MI,St. Clair Homes for Sale,Property Marine City, Algonac Homes. Marine City 2 Family ! A Great opportunity * Large 2 Family Home in Historical Marine City! * Great for owner occupant and extended family or an Investment Property. **Lower utility room is 15.2 x 7, upper utility room is 12 x 10.6, attached storage area accessible by both units called Bonus room 25 x 12 used as shared storage! Land Contract Terms! Newer windows. Huge 65 x 183 LOT boasts nice back yard. 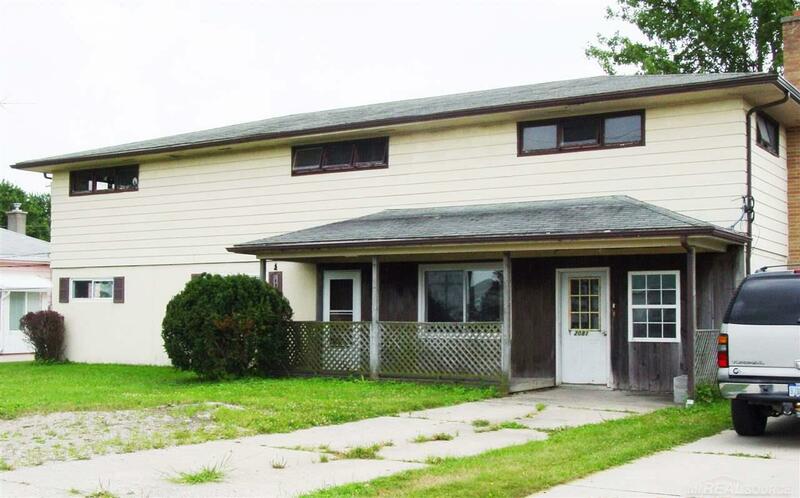 Close to schools, shopping and the St. Clair River. Block 1st level and sided 2nd level. Full living quarters on each level. Fireplace upper living / Great Room. Priced accordingly to sell quickly and reflects TLC this home will need. For showing Access upper unit from downstairs unit.